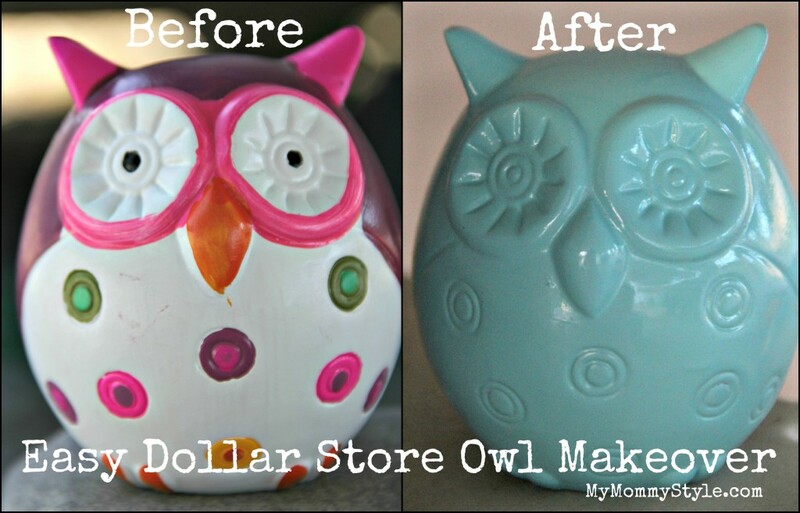 I was in the dollar store the other day when I passed by this cute little owl piggy bank. It was horribly painted multiple colors and looked busy and cheap. My daughter’s room is decorated with owls so I bought the piggy bank and after three coats of spray paint it fits in with her room more, and in my opinion, looks a whole lot better! So in a few hours I had a cute decoration for my daughter’s room that cost a little more than $1. Now I’m in search for some piggy banks for my boys. Hopefully I’ll be able to post more dollar store projects soon. 1. Spread a large drop cloth on the ground or something you don’t mind getting paint all over. I like a large drop cloth because I don’t have to worry about it blowing in the wind and getting in the wet paint. 2. Evenly spray the entire piggy bank with primer. I like this Rust-Oleum Universal bonding primer, but any primer is good. There are even many spray paints that are primer and color in one to save you a step. Let the primer completely dry (at least 30 minutes). 3. Evenly spray the piggy bank with spray paint of choice. There are so many colors and brands to choose from. 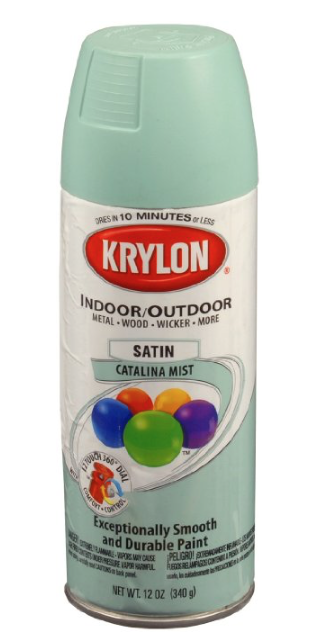 (My favorite brand is Krylon.) Start at the top of the bank and work your way down with spray paint in a sweeping motion. Keep your hand steady and keep it moving! Let that dry completely (30-60 minutes) and repeat 1-2 more times. Linked up with Katherine’s Corner, Posed Perfection and Saving 4 Six.